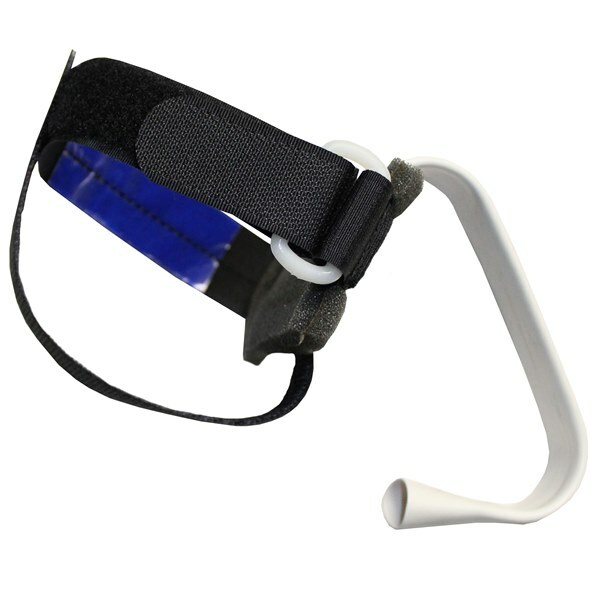 Universal Cuff for Electric Razor adapted shaving aid that is designed to require less strength to grip the razor while shaving. The Universal Cuff for Electric Razor is an adapted shaving aid that is designed to require less strength to grip the razor while shaving. 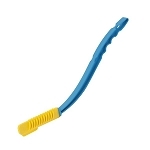 Caregivers for users with a weak grip will find this universal handle provides users a secure grip, allowing them to continue shaving independently, safely and easily. 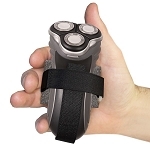 The Universal Cuff for Electric Razor has 2 adjustable straps that will accommodate a variety of electric razor types. Users with decreased hand strength, hand tremors, shaking hands from Parkinson’s disease, essential tremor, or age often have difficulty shaving. Using an electric razor can help to reduce the risk of shaving nicks and cuts. 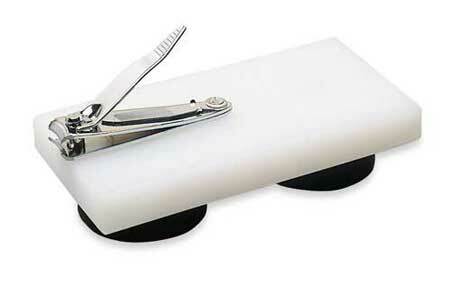 Stabilizing the razor in the user’s hand with this universal holder increases safety and independence. The vertical strap wraps around the base of the razor to keep it from sliding down. 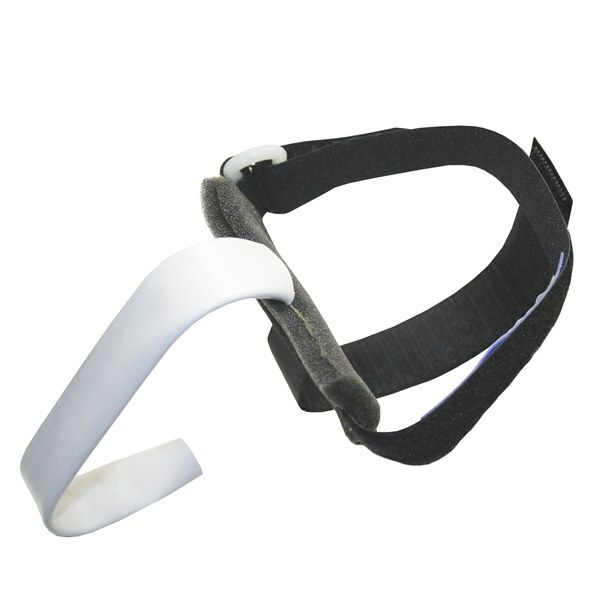 The vertical strap can be shortened or lengthened by keeping it taut against the razor and pressing it against the outside of the horizontal strap. 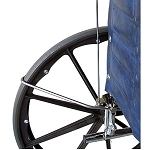 The handle of the holder is made of soft steel which can be bent to fit the user’s hand for an ideal fit. 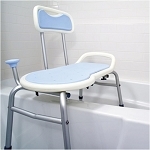 Caregivers will find this shaving device helpful for increasing self care independence. 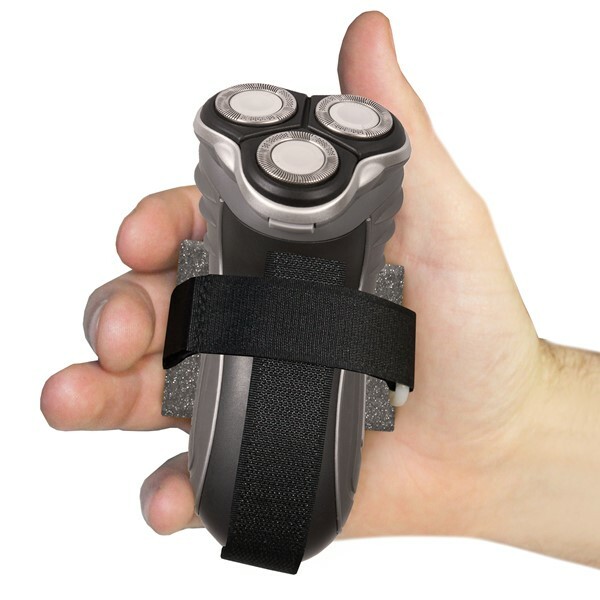 The Universal Cuff for Electric Razor provide users with a weak grip or poor fine motor skills by requiring less strength to grip the razor while shaving. Vertical Hook Strap: 7 inches long, 1 inch wide. Horizontal Loop Strap: 8 inches long, 1 inch wide, 2.5 inch long non-slip strip. Handle: 7 inches long, 0.75 inch wide. 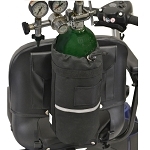 Materials: Velcro straps, vinyl covered steel handle, foam padded cushion. This universal cuff for an electric razor is not universal with my Father's electric shaver.